BPA has traveled to more than 160 foreign countries and completed numerous projects for the U.S. Department of State and other U.S. Government agencies, with extensive experience in providing the Government with programming, master planning, new building design, modernizations and renovations for Government facilities around the world. Physical security is a key element in the design of all overseas U.S. Government facilities. BPA are specialists in physical and technical security design and have extensive experience with blast, ballistic and forced-entry design, design of vault construction, security doors and hardware, secure louvers and penetrations, integrated radio frequency shielding, parent room shielding, RF shielded enclosures, communication centers, and special facility designs. 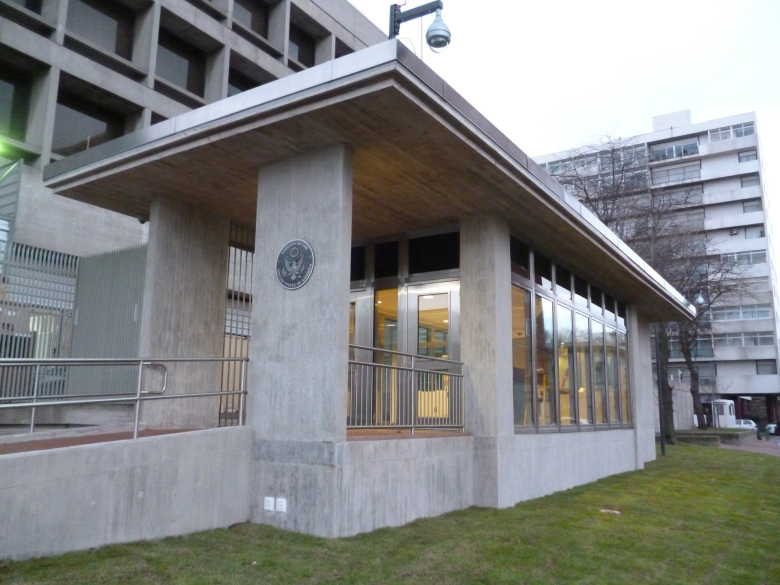 BPA has performed numerous existing building renovations in overseas U.S. Government occupied buildings of historic significance. 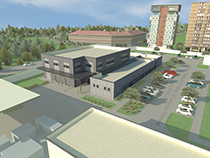 These projects have included mechanical and electrical systems upgrades and replacements; sprinkler, fire alarm and fire egress designs; tenant modifications; space planning; communication centers design; vault and security enhancement design; special facility and roof design; reinforcement of existing building structures and energy conservation evaluations. The quality of vaulted construction, security of vault penetrations, and dependability of self-contained mechanical and electrical systems are essential for protecting classified information and equipment, as well as providing a secure facility to transmit and receive sensitive information. Our designs have included dedicated emergency generators, buried fuel tanks, dedicated UPS systems, dedicated chiller systems, radio frequency perimeter shielding, RF shielded enclosures, secure conference facilities and office areas, antennas and special roof structures. The combination of effective leadership and solid teamwork creates in BPA an incredible spirit of group responsibility and dedication. Our designs involve a comprehensive process of understanding client requirements and incorporating them into a carefully thought out and cohesive concept. Ongoing project that includes the design and construction of a new warehouse with high-bay bulk storage, support functions, and shops. 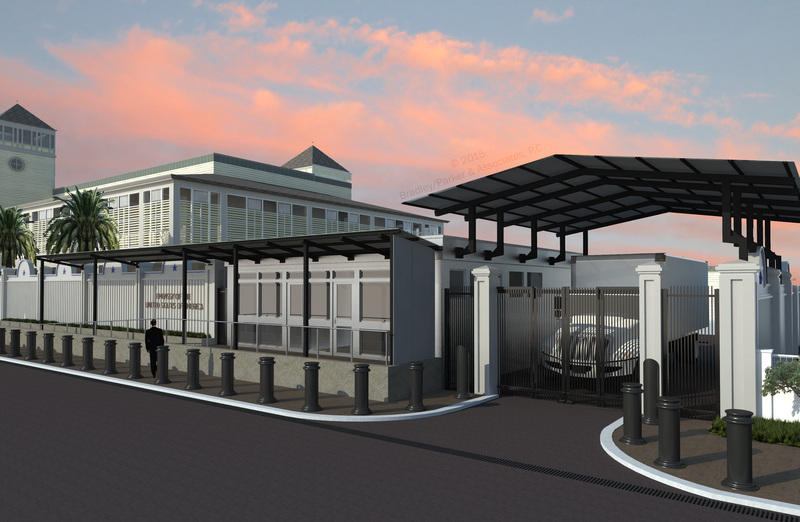 Major rehabilitation project that included perimeter security, compound access control upgrades, emergency sanctuary, as well as roof and facade replacements. 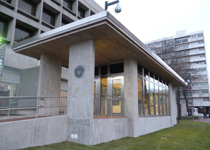 Physical security upgrade project that included the construction of a new compound access control building, designed to preserve the architectural significance of the adjacent existing Chancery building. 1BPA offers our clients a unique and professionally diversified approach to problem solving, design generation and construction technology. 2BPA works closely with our clients and consultants to develop construction documents that are accurate and fulfill client requirements. 3BPA provides architectural support services during the construction phase and responds to any unforeseen conditions quickly and efficiently so that the integration of the original design is not altered or compromised. 4To help clients visualize projects, BPA offers architectural 3-D renderings, as well as walk-through and fly-by architectural animations using leading edge technology.